Demolition of the Bruce Hall building will continue after a surprise document release led to withdrawal of the case to stop works from the Federal Court. The Bruce Hall Alumni Association (BHAA) made an emergency application to the Court last week, on grounds that consultation was insufficient. However, after delayed documents were released last night, it was revealed the alumni’s own submissions to the review were considered sufficient community consultation. The Department of Energy and Environment, in its review last year, judged that the social value of Bruce is in the institution and community, not the physical building. However, alumni argued the Department did not sufficiently consult with students and alumni before reaching that conclusion. The Department was required to release its reasoning by the 22nd of February, but delaying release for many weeks, BHAA took them to court, arguing the process of decision making was invalid. At 4:47PM yesterday, the Department released its reasoning. In that justification, the Department said they had engaged sufficiently with the community affected, because they reviewed the submissions of the BHAA themselves made against the demolition. The BHAA, unprepared for this new information, decided to withdraw their case. 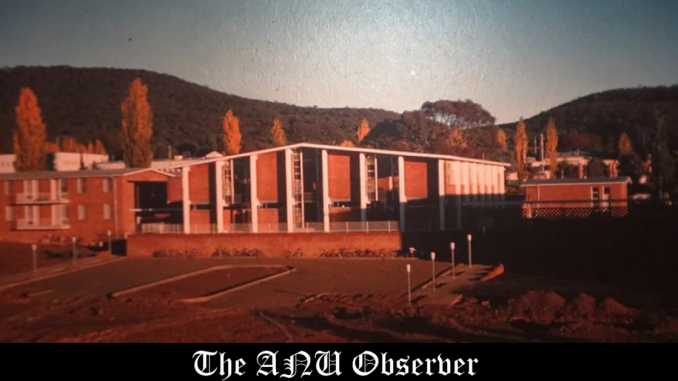 An ANU spokesman said the University “will now proceed with its plans”. The new building is planned for completion by the start of 2019.